Good ways to hide motion sensors? Do any of you guys have clever disguises for them? @Mike_Maxwell has done a lot with embedding. I’m sure other people have other ideas as well, the community is very creative. BTW, you probably already know this, but PIR sensors cannot detect through glass. They’re not really “motion” sensors, they detect very small changes in heat passing across the sensor. Yeah, I tried to do that for the mailbox just on the other side of some glass at the front door! That is why I like the iris motions. They are tiny and can be found for a good price. They are designed for corner mounting, but I usually just place them on top of the window, when you do that its angled slightly down and works well. How do you include the iris type devices? 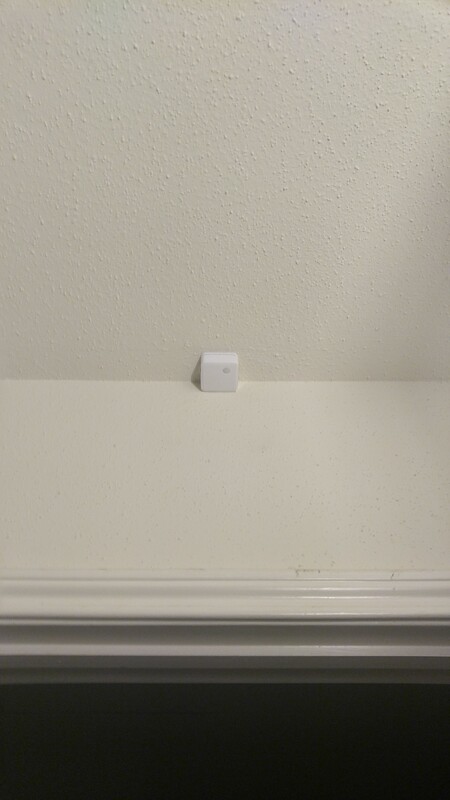 Does it find it as a Smartthings SmartSense? They are part of the SmartSense motion sensor signature, so they just work. It happened about a month ago. I just got a batch in today, paired up no problem. Although I think there is a bug in the ST client where it never said “found” but they appeared as “Iris Motion” in my devices to configure. Cool!!! Do they report temp too? Definitely not as cheap as the Iris sensors, but I love the Aeon Multisensor 6 with recessor kit. I put them on a shelf and in about 5 days I don’t see them anymore. I just wish the lux reporting worked better on them. Until my house cleaning crew moves them when they dust & don’t line them up right when they put them back. But it only takes 10 seconds to move them back. Holy crap those dudes are tiny! I picked one up today! I put a SmartSense Motion Sensor above my door. Barely noticeable unless you look up! This is for a room arrival SmartApp still in dev.